Where can we find river gear. 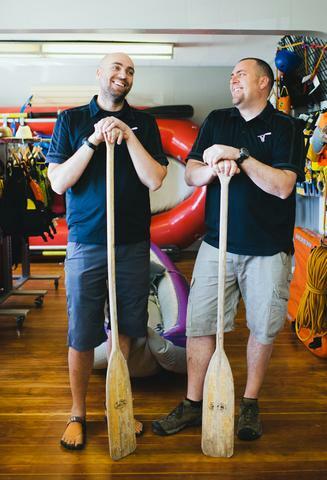 In 2011, after struggling to find gear in Salt Lake City for a Dolores River trip, brothers Anthony and Clinton Monson decided to take their love of the river into business. Utah Whitewater Gear was formed. A family business by every definition. The property where "The Shop" is located has been in the family since 1962. All the work to get it going has been done by the brothers and their dad, Lynn Monson. When you come into the shop your likely to find their kids running about and a kids show on the TV. Don't mind them, come on in and make yourself comfortable. We have done a lot of work to the place and have made every effort to get the top brands in river equipment. Holy cow what a ride! THANK YOU! To everyone that has supported us along the way. We have endured growing pains, low water years, divorce, trying to find more room to put the ever increasing products we carry. Most of all, we have really loved helping get you out on the water. I love seeing our customers. I apologize that I can't remember your name from yesterday, but I sure recognize your face. So a heartfelt thank you is in order, for you, our customers and friends.